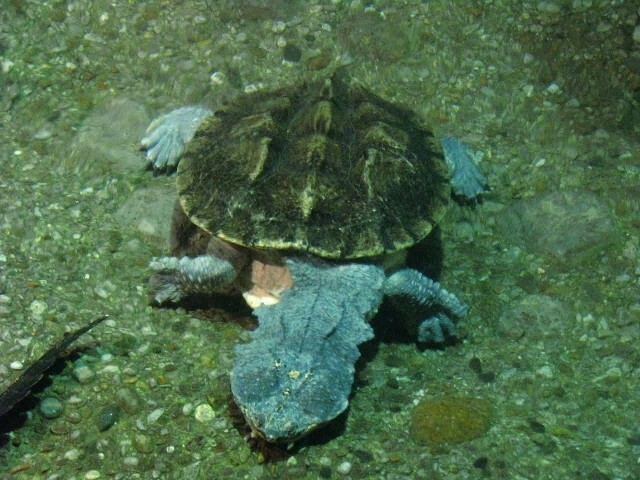 The mata mata is a freshwater turtle found in South America, primarily in the Amazon and Orinoco basins. It is the only extant species in the genus Chelus. 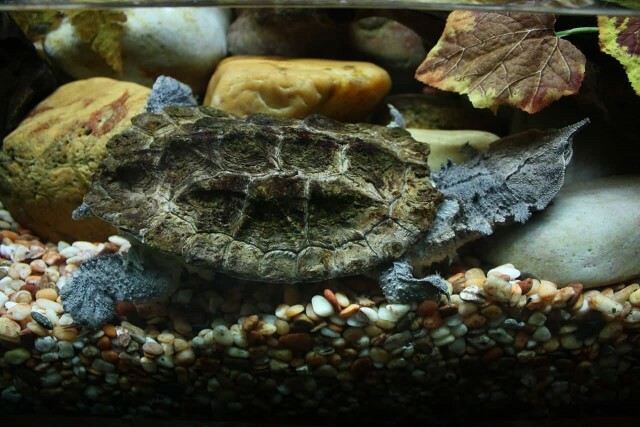 The mata mata was described for the first time by French naturalist Pierre Barrere in 1741 as a “large land turtle with spiky and ridged scales”. 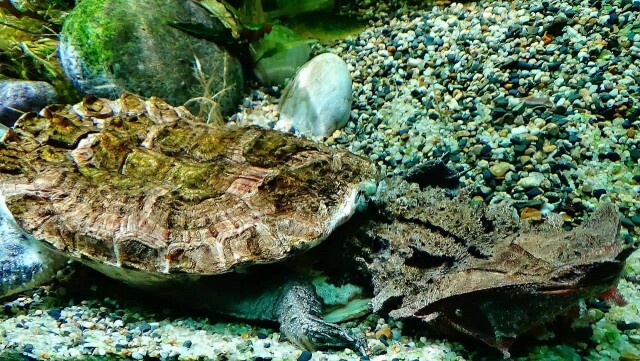 The mata mata turtle is large, triangular and flattened head with many tubercles and flaps of skin. The mata mata is only in brown or black color. The mata mata is strictly an aquatic species but it prefers standing in shallow water where its face can reach the surface to breathe. The mata mata cannot chew due to the way its mouth is constructed. 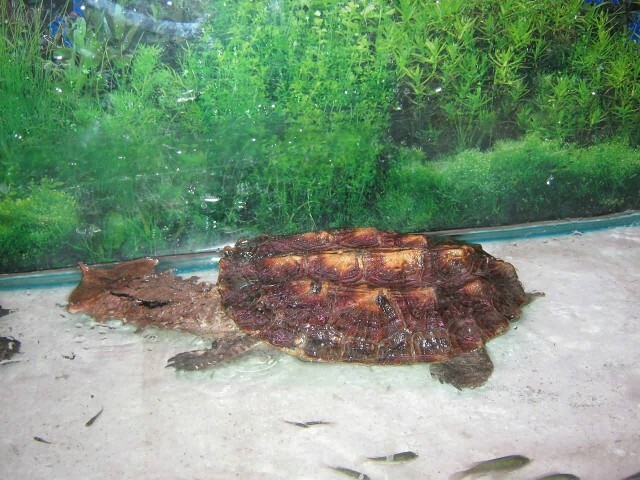 The diet of the mata mata is invertebrates and fish.